Go is a strategic board game for two players. It is known as Wéiqí in Chinese (Traditional: 圍棋; Simplified: 围棋), Igo (囲碁, Igo) or Go (碁, Go) in Japanese, and Baduk in Korean (hangul: 바둑). To differentiate it from the common English verb go, it is sometimes written with a capital G or spelled Goe. 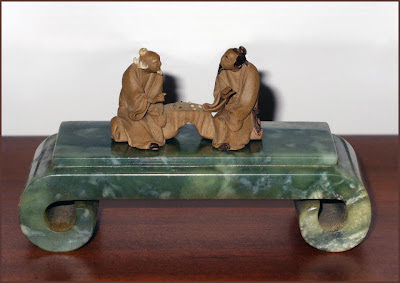 Go originated in ancient China, centuries before its earliest known references in 5th century BC writing. 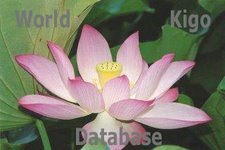 It is mostly popular in East Asia but has nowadays gained some popularity in the rest of the world as well. Go is noted for being rich in strategic complexity despite its simple rules. Go is played by two players alternately placing black and white stones on the vacant intersections of a line grid. The standard size of this grid is 19 × 19, although the rules of Go can be freely applied to any size: 13 × 13 and 9 × 9 are also popular choices for simpler and more tactic-oriented games as well as a way to introduce Go to new players. The objective of the game is to control a larger part of the board than the opponent. To achieve this, players strive to place their stones in such a way that they cannot be captured, while mapping out territories the opponent cannot invade without being captured. A stone or a group of stones is captured and removed if it has no empty adjacent intersections, the result of being completely surrounded by stones of the opposing color. General Guan Yu (160–219) being treated for a poisoned arm by the physician Hua Tuo while playing Go. 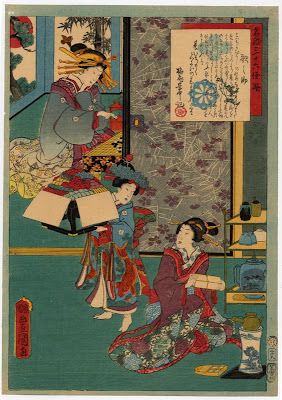 1853 Japanese woodblock print by Utagawa Kuniyoshi.Some legends trace the origin of the game to legendary Chinese emperor Yao (2337–2258 BC), who had his counselor Shun design it for his son, Danzhu —supposedly an unruly sort—to teach him discipline, concentration, and balance. Other theories suggest that the game was derived from Chinese tribal warlords and generals who used pieces of stone to map out attacking positions or that Go equipment was originally a fortune telling device. The earliest written reference of the game is usually taken to be the historical annal Zuo Zhuan(c. 4th century BC), referring to a historical event of 548 BC. It is also mentioned in Book XVII of the Analects of Confucius (c. 3rd century BC) and in two of the books of Mencius (c. 3rd century BC). In all of these works, the game is referred to as yì (弈), a name that is no longer in use today. In China, Go was perceived as the popular game of the aristocracy, while Xiangqi (Chinese chess) was the game of the masses. Go was considered one of the four cultivated arts of the Chinese scholar gentleman, along with calligraphy, painting and playing the musical instrument guqin. Although Go may have reached Korea as early as the 5th century AD, more solid evidence stems from the 7th century AD.By this time, Go had also reached Japan, where it gained popularity at the imperial court in the 8th century. By the beginning of the 13th century, Go was played among the general public in Japan. The straight lines are engraved with a heated Japanese sword.
. . . CLICK here for Photos of the board ! published by Tsutaya Kichizo in 1861. From the series Meigi Sanju-rokkasen (A Selection of Thirty-Six Famous Geisha).
. Kappa playing Go - Legend from Fukushima . Akazu Jinja 不開神社 "Shrine not to open", now written 赤津神社 Akatsu Jinja . There is a "poetic" name for it: Ranka　らんか【爛柯】. 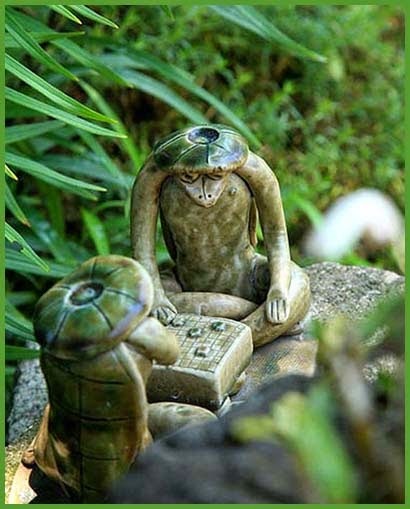 A woodcutter stopped by to watch a game of Go played by two mountain sages. When the game finished, so much time had passed that he found that the handle of his axe had rotted away. A crane calling in the shade. I have a good goblet.
. . . CLICK here for Photos of RANKA ! stirs the stones in the bowl. clay bells with Daruma as stones for the Go game. A young Sumo wrestler, Bungoro, is using a wooden Go board to fan out the candle. This was a new amusement for the people of Edo. Mt. Goban-ishiyama. The mountain is 1189 m high. There lived a Tengu on this mountain who liked to play a game of 囲碁 Igo. Once he had a match with a man known for his skill at the game, who lived in a village at the foot of the mountain. They played for seven days and seven nights, but in the end the Tengu lost. In his anger the Tengu took the last stone and threw it upside down. There it turned to a stone, to be seen to our day. A similar legend of a Tengu playing Igo is told in Saitama 埼玉県.